Show your hair who's boss with Blind Barber 90 Proof Pomade, a protein-rich hair styling formula with strong hold and matt finish. 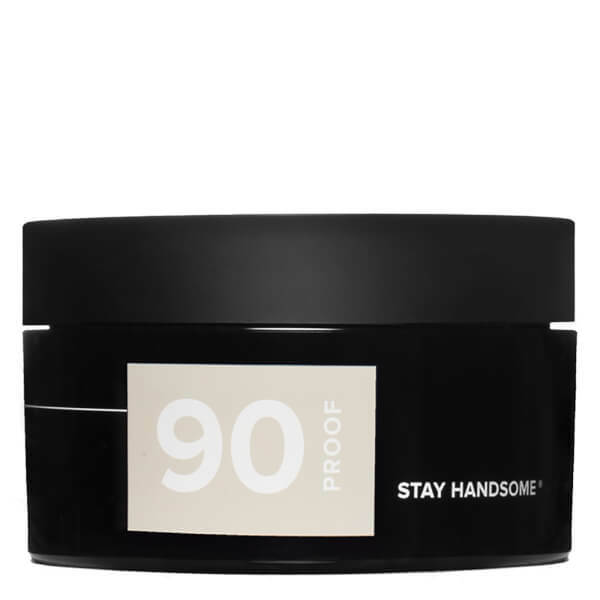 Delivering maximum control with a workable finish, the hops-infused pomade enhances the body and texture of your hair for effortless, stay-put styles. Emulsify a small amount of pomade into hands and work through towel-dried hair for optimal texture and control. Avoid direct contact with eyes and do not ingest. Water (Aqua), Hydrogenated Polyisobutene, Bis-Diglyceryl Polyacyladipate-2, Ceteareth-20, Cetearyl Alcohol, Ozokerite, Copernicia Cerifera (Carnauba) Wax, PVP, VP/VA Copolymer, SD Alcohol 40-B, Glyceryl Stearate, PEG-100 Stearate, Butylene Glycol, Fragrance (Parfum), Mannitol, Panthenol, Cystine Bis-PG-Propyl Silanetriol, Hydrolyzed Vegetable Protein PG-Propyl Silanetriol, Keratin, Glycerin, Humulus Lupulus (Hops) Extract, Hydrolyzed Keratin, Prunus Amygdalus Dulcis (Sweet Almond) Protein, Phenoxyethanol, Caprylyl Glycol, Benzyl Alcohol, Chlorphenesin, Potassium Sorbate, Sodium Benzoate, Butylphenyl Methylpropional, Cinnamyl Alcohol, Citronellol, Coumarin, Hexyl Cinnamal, Linalool, Alpha Isomethyl Ionone.